The lodge at Giants Ridge is conveniently near one of the entrances of the Mesabi Trail, making it an easy day trip with the family! 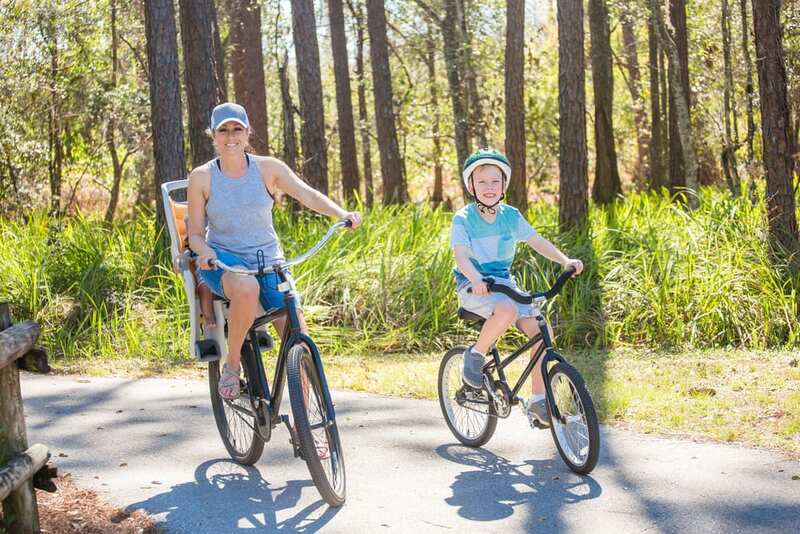 This well-maintained trail crosses over 155 miles connecting 28 communities, making it one of the longest paved trails in the United States. As you’re hiking the Mesabi trail, you’ll journey through forests, past streams and creeks between rolling hills, and spot wildlife and birds. Though Minnesota doesn’t have mountains, you will come across some man-made mountains that are becoming forests, along some of the world’s largest mines. Step back in time and explore historic mining artifacts, early industry, ethnic and cultural history and discover handmade treasures. The full trail travels from Grand Rapids to Ely, including the Mississippi to the Boundary Waters. Part of the Mesabi trail is built on old railroad beds, old logging, and mining roads, making for varied terrain. A few challenging hills will test your determination. You can enjoy a virtual tour of the entire trail, section by section, to get a better idea of the terrain before you head out there. Please note this is not a rails-to-trails renovation trail, meaning it is not all flat and straight which makes it great for summer biking, skating or walking. In the winter you can go cross-country skiing, snowshoeing and winter hiking. Also, some parts of the trail provide snowmobile access. However, the trail is not maintained for these activities. The diverse terrain of the Mesabi Trail is ideal for biking. Minnesotan and visiting bikers can explore Minnesota’s rich wilderness and nature from the trail. Bikers can experience new landscape within each trail section, from smooth riding surfaces to challenging hills. Ride safely and take in the views of this beautiful trail. 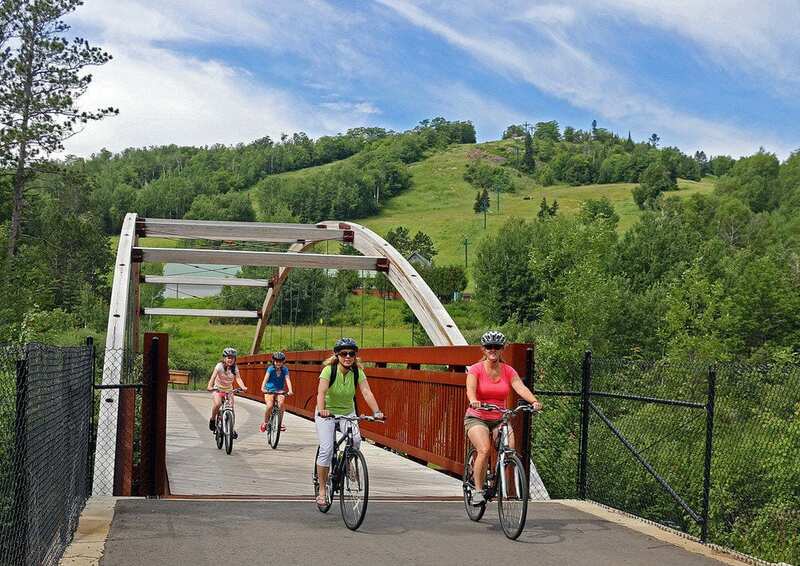 The Mesabi Trail is a premier biking trail winding through some of the most scenic parts of Minnesota, so make sure to check out during your stay with us at the lodge at Giants Ridge.